Andy Murray tomorrow plays his third promising youngster in a row. He’ll face Grigor Dimitrov in a widely anticipated Stadium Court encounter. The last time they met was in the Brisbane final in January (the heat and humidity will thus seem familiar). Yesterday Murray saw off Bernard Tomic quite comfortably. By some coincidence Murray and Tomic met in Brisbane last year. In the first round Murray easily accounted for the eminently defatigable William Bye, yet again. Murray and Bye seem to meet in Brisbane and Miami every year. Their fortunes are tightly wreathed. William Bye is sometimes called Billy by his closest friends, and always called that by those passionate supporters who believe their searing regard confers a certain intimacy with a famous stranger they will probably never meet. The elusive Billy is especially hard to meet; he rarely grants interviews, and believes only important things should be said on social media, which means he has long since given up on it. Bye’s country of origin is unknown. He is almost certainly not related to China’s Yan Bai. Occasionally he will be billed as Ukrainian – ‘Bye (UKR)’ – although this is surely incorrect, and merely due to broadcasters lazily assuming that Bye (UNK) is a typo. Mostly his nationality is simply left blank. Some whisper that he was born in international waters, on an abandoned oilrig that for a time saw use as a Megaupload server-farm. He will neither confirm nor deny this. There are rumours that he has been approached by Sweden with an offer of citizenship. By accepting this offer he would instantly become Sweden’s highest ranked player, and guarantee himself a spot on the Davis Cup squad. So far the Swede’s overtures have been rebuffed. Just because Bye hails from nowhere doesn’t mean he forgets where he’s from, or the rich tradition he incarnates. While Bye himself is relatively new to the tour, he is the latest representative of a venerable lineage of also-rans, and his family’s near-exploits have fascinated writers for centuries. Ever one to champion the little guy, the Byes even tempted Shakespeare into occasional excursions into sports writing. This is presumably what Keats was referring to when he reflected on the unnecessarily high quality of Shakespeare’s ‘By-writing’. The ‘e’, incidentally, was only added to the end of the family name late in the nineteenth century. This was the era of the Byes’ greatest triumphs, which predictably came on Wimbledon’s blessed turf. William Bye would regularly reach the semifinals at The Championships in those years, but could never quite manage to win through to the final, entirely due to the grace, power and skill of his perennial opponent William Renshaw. 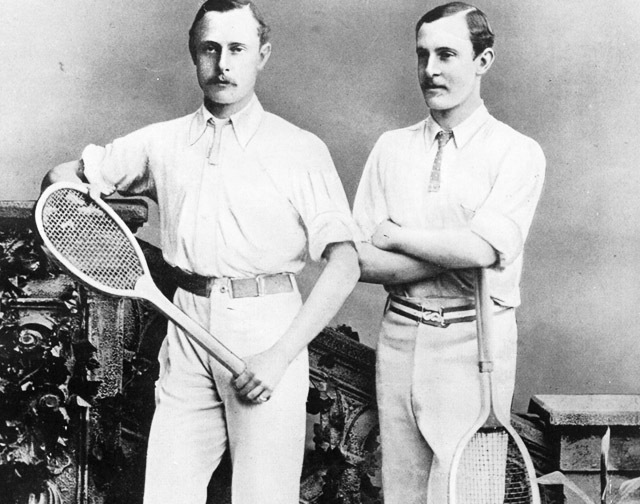 Billy and Willy would set the place alight – in those days the Centre Court turf was more flammable, but it was always Renshaw who wore the fancy asbestos pants. Many of his devoted fans will remember the current Bye’s titanic tussle with Murray at Crandon Park two years ago. The Scot scraped through that match, but had little left in his tank for the subsequent round, falling to Alex Bogomolov Jr. This was admittedly Murray at his most vulnerable, in those years when his complicated post-Melbourne strategy involved losing every match until April. It was a missed opportunity for young Bye. It was only last year that Murray broke out of this pattern. Having fallen early in Indian Wells to Guillermo Garcia-Lopez, Murray went on to reach the final of Miami a few weeks later, heavily assisted by a series of walkovers en route. These included Rafael Nadal in the semifinals, Milos Raonic in the third round, and of course Bye in the opening match. It was good news for Murray – essentially setting his feet on a path to Olympic and Grand Slam glory – but bad news for Bye. Still injured, he once again fell early in Monte Carlo, this time to Nadal. He just can’t catch a break. Really, young Bye does suffer the most appalling fortune in such matters. Despite consistently reaching the main draw at Masters level, especially in America, he never fails to draw a seeded player in the first round. It really is rotten luck, and highlights the insidious Catch-22 beneath which the up-and-coming players must labour. In order to avoid seeds in the early rounds you need to be seeded yourself, which means a higher ranking, but in order to attain a higher ranking you need to win matches, which you can’t, because you’re always facing seeds early on. Ryan Harrison is in something of a similar situation, and I think it would be mutually beneficial for these two to compare notes. Indeed, I wonder what would happen if they were to meet on court. Given Bye’s superior experience, I’d give him the edge. Plus Harrison has proven his capacity to lose to anyone for no reason, even if they come from nowhere. Bye has yet to reach the main draw at a Major, but one suspects it’s only a matter of time. 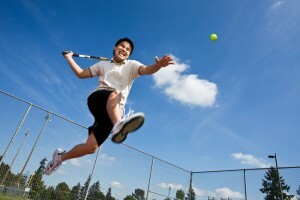 Given that the USTA is not shy of innovation, I predict his breakthrough will come at the US Open. Look for Bye to contest the first round in New York within a decade. In the meantime, his urgent task is to push further into the main draws at the Masters and smaller events. I think this a realistic goal. I believe we’ll see Bye in the second round at Masters level before too long. 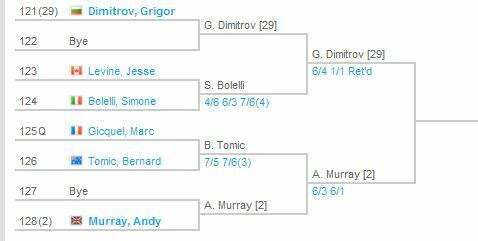 After all, if the intention of inviting Bye to contest the first round is to ease the top seeds’ passage through the draw, why stop there? Update: I’ve been informed that Bye is already widely celebrated. His past exploits are celebrated here. And thanks to Cindy, Bye’s official player profile is here. What have I wandered into? Don’t you go putting Bye down. He has in fact won a match and made himself $1,030. No small achievement! I wouldn’t dream of putting him down, although I confess I had no idea he already had such support. Thanks very much for the link. LOL. V. Clever. Don’t you also find him quite sneaky, being able to play 4 or 5 matches at a time on any given first round? Sneaky, yes, but that’s one of his many unique abilities, and helps to offset the patently unfair requirement for him to have to win 32 matches just to reach the second round. His twin sister (Tabitha) fares no better at the WTA events. It’s a conspiracy. Billy did indeed study at the feet of the good Captain (word has it he’ll be teaching a class on the Art of Hanging Around at ATP University later this year). Perfect. This arcticle is a great example of why this is my favorite tennis blog. No other blog would take the time to encapsulate the trials and tribulations of the great (or not-so-great William Bye). Great stuff Jesse! Like Shakespeare, I like to champion the little guy. I’m not saying I’m Shakespeare, of course. That’s for others to decide. It’s truly unfortunate that Bye has yet to get into a televised match. Considering that he seems to have even more bad luck than Ryan Harrison at drawing top players right off the bat, he should really have gotten some TV screen time by now but he seems to be even more neglected than David Ferrer. Where did you manage to get that photo of him, by the way? It’s an outrage is what it is, and yet another argument in favour of Masters events televising the first round (as if another was needed). Especially since he and Murray played on Stadium Court this year. That is a rare photo of Bye’s unusual service motion. Like Roddick he came upon the technique by accident one day in practice. There is also a heavy influence from Happy Gilmore, which was the only working VHS tape they had on the oilrig when he was a kid. This, sadly, means that Billy’s grasp of comedy is very limited. Clearly someone (hint hint) needs to encourage BB to open a Twitter account! That’s not a bad idea at all. Sadly, it’ll have to be done by someone else, since I can barely manage my own Twitter account. That was the most sophisticated dad-joke I’ve ever read.